Another cold winter night, another Korean meal. What’s new? I used to have tuition in the building next to Kimchi Hut in 2010, re-visiting the restaurant just reminds me of how quickly time passes. 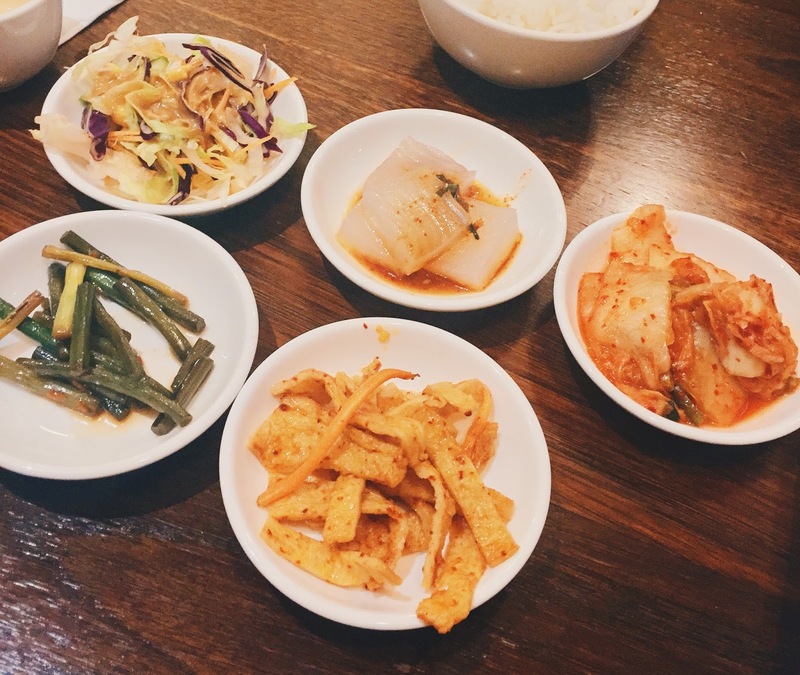 There were five banchans on offer when we visited: coleslaw, rice cake, kimchi, spicy bean curd, and garlic bolt. Our favourites were the spicy bean curd, which was nice and chewy; and the garlic bolt, it was quite uncommon and it’s one of my favourite vegetables! Kimchi is my recent obsession, so ordering this was a no brainer. Kimchi and pork is such a great combination, both in terms of flavour and texture. Spiciness of the kimchi compliments the umami of the pork, and the tenderness of the pork contrasted brilliantly with the crunchy kimchi. While we were eating, the chef/owner (?) came over and told us to put some of the stir fry on top of the tofu and eat it that way, which is pretty genius imo, the silky tofu tones down the strong flavours just down a notch. Yes yes I know, this essentially has the same ingredients as the stir fry, I wasn’t kidding when I said I’m obsessed! Nonetheless, the soup was quite different from the stir fry. The soup had a nice depth of flavour, from the acidity of the kimchi to the porkiness of the pork (LOL). I love how that although these claypots make it seem like there isn’t much to the dish, the actually serving size and content always end up being a pleasant surprise. The huge chunks of bean curd was very smooth, and we slurped up every last bit of it! 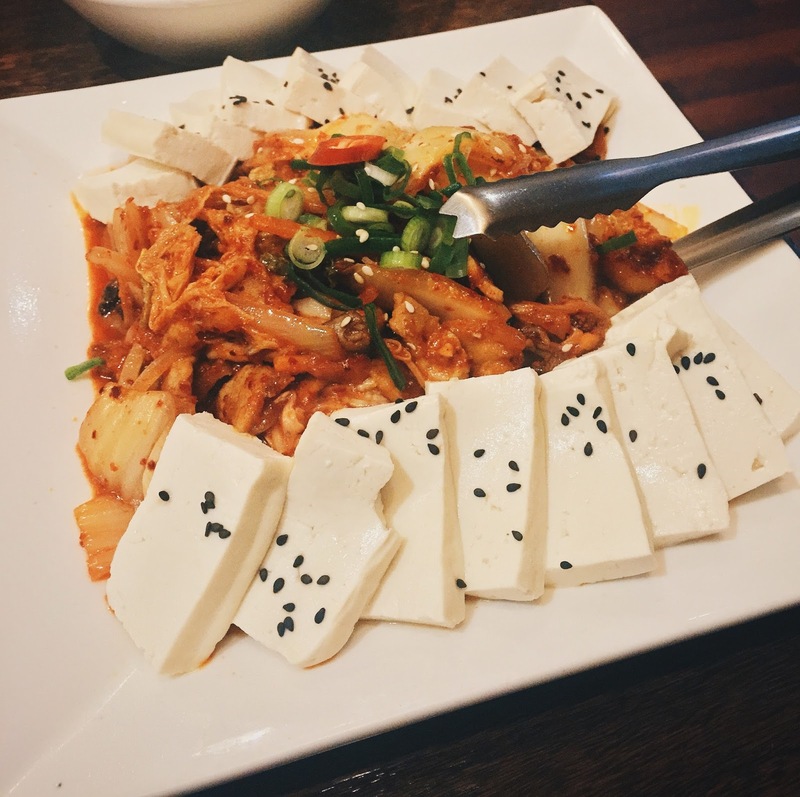 Although it may not seem like it from its exterior, the dishes that are served inside Kimchi Hut is definitely above par. 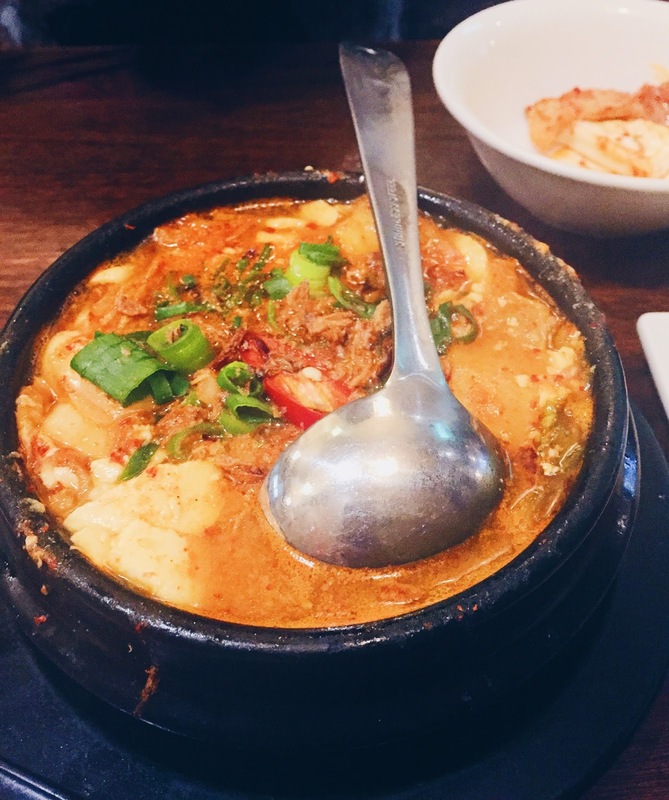 Add some of the friendliest service from the happy waiters, especially the chef/owner into the mix, Kimchi Hut will always have a special place in my heart, and I can’t wait to return for some more of their soups! 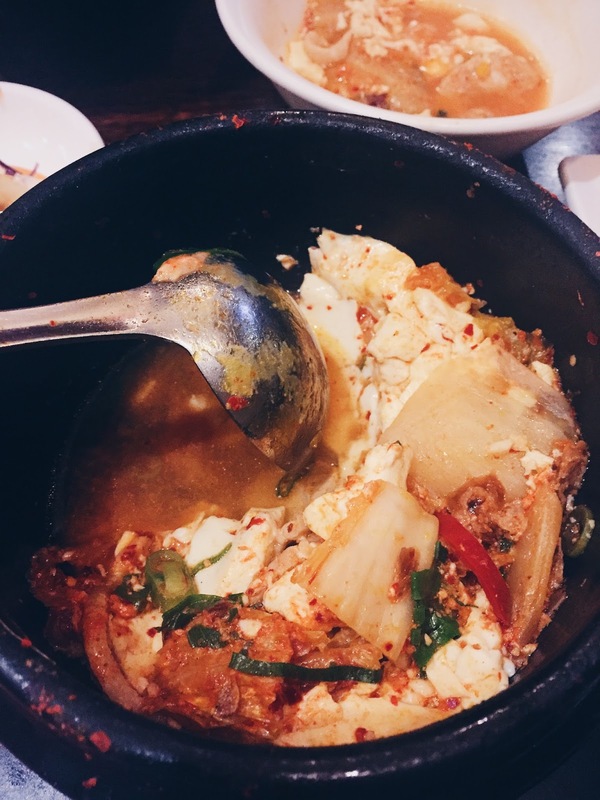 Kimchi Hut is located on Coleman Parade, a five to ten minutes walk from Glen Waverley Station.